In fact, I wish someone had told me this before I spent tons of money marketing with zero results. One of the biggest mistakes that I personally made was not being clear on exactly who I was trying to reach. Instead of being laser focused on a particular audience, I was marketing to everyone. 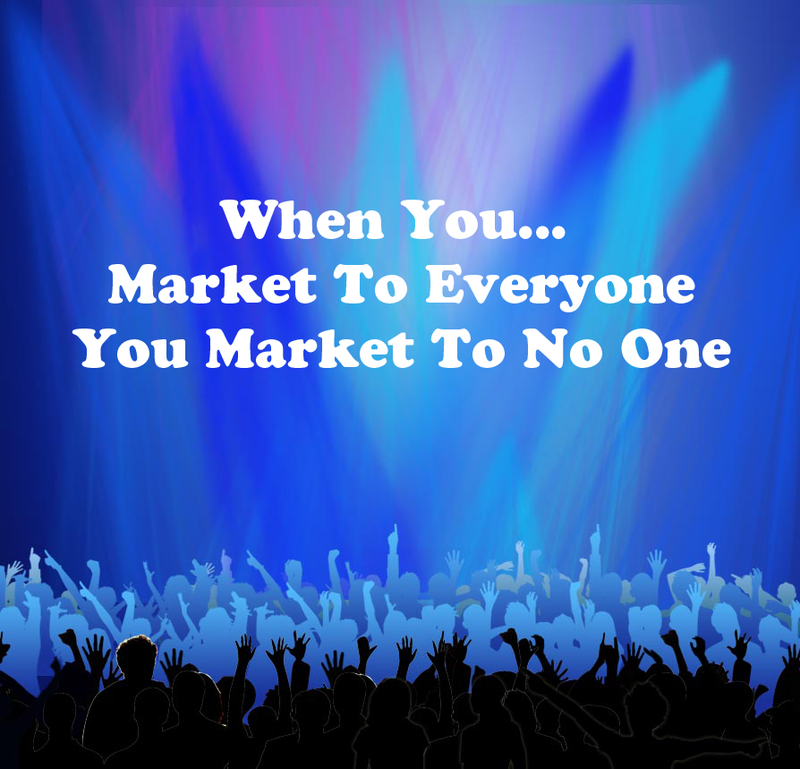 Maybe you’ve heard the saying… “When you market to everyone, you market to no one”. So if that’s you, STOP IT! … and you get very, very clear on who your target audience is. Who are you trying to serve, what are their problems and what solutions do you have that will solve that problem? Don’t be one of those people that are just pushing products and services because those products and services may not be the solution your audience is looking for. That brings me to the second biggest problem. Instead of looking at the problems that your target audience has… many are going in reverse by simply trying to just package their products and services into a neat little box and then offer it to their audience without even talking to them to figure out what they need. It’s like trying to buy a bottle of wine for someone who doesn’t drink or offering a Herseys chocolate bar with almonds to someone who’s allergic to nuts. How would you know any of this if you haven’t gotten to know the person first? Hop on over now to check out the article and leave me your comments below. 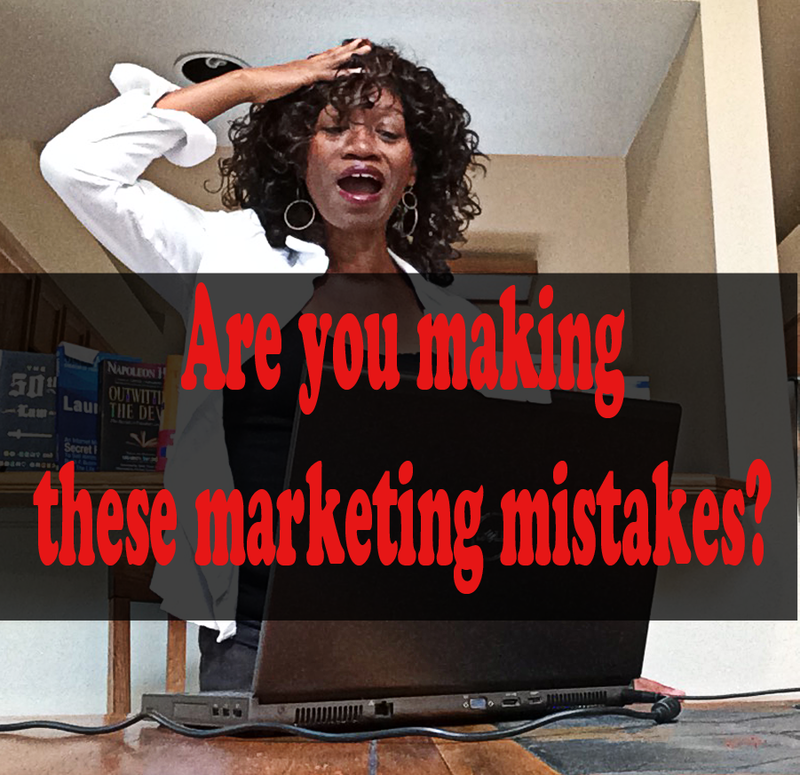 I would love to know what marketing mistakes you have made off that list and any that aren’t included on the list as well.